It’s with a heavy heart that we need to announce the passing of our dear friend and members’ representative Carol Fenton. 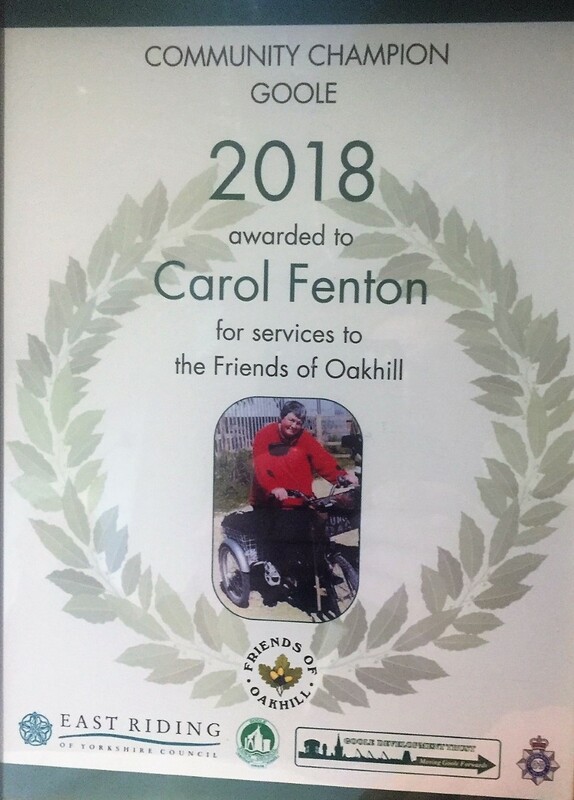 For years she has championed Oakhill and lobbied for greater access for all, which in the last few years with reduced mobility herself, became more important to her. She could be found onsite in all weathers on her trusty trike and always had time to stop and talk to anyone and explain the many wonders to be found around Oakhill. Her patience made her a great photographer and she took some amazing pictures most of us could only dream of. Our sympathies go out to her family; Oakhill won’t be the same without you. Join members of the friends group to enjoy a wander round the reserve looking at the butterflies and Dragon / Damesflies. Our Guest Speaker will be Michael Rodgers of the Yorkshire Wildlife Trust. Join the members of the Dragonfly Society and the Oakhill Rangers for fascinating glimpse into the magical, ephemeral world of damselflies and dragonflies on an exploration around the reserve. Meet at the Oakhill Nature Reserve car park, off Tom Pudding Way, Goole.DN14 6XL (Near Tesco Distribution centre). Start Time. 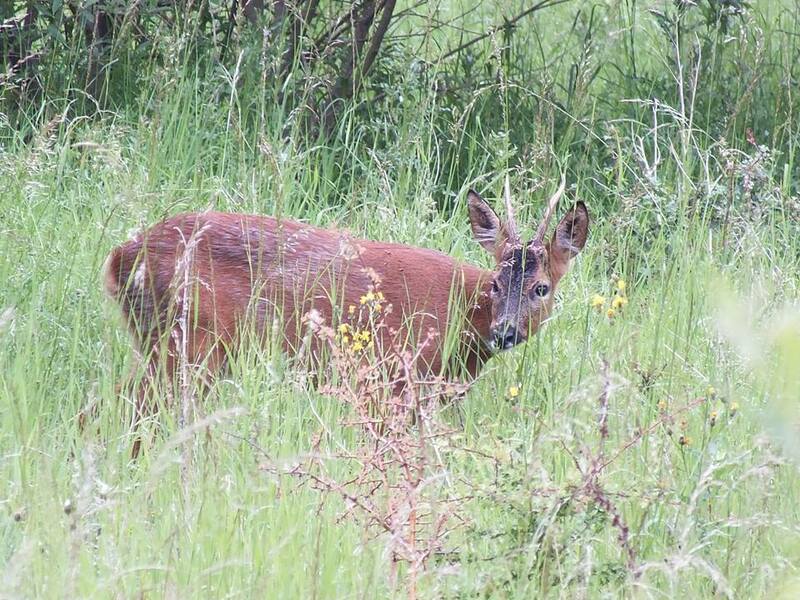 10 am – 1 .00 pm Length Up to 2 miles around the Reserve. Meeting point Oakhill Nature Reserve Car Park, Tom Pudding Way Goole DN14 6XL @ 5.00 pm. Please remember to wear suitable clothing and footwear for this outdoor event, as you may encounter some uneven ground, insect repellent may also come in useful. On this occasion it would be helpful if you could advise me of your intention to attend. 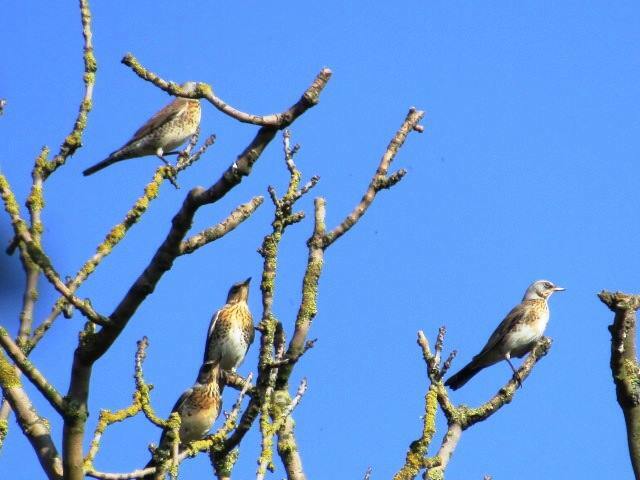 Join us on Sunday 16th October at 10 am for the first conservation day this season. With so much that needs doing onsite your help would be greatly appreciated . Please wear suitable clothing and footwear and bring along a packed lunch. For any further information please get in touch via the contact page. Please remember to wear suitable clothing and footwear for this countryside event, you may also wish to bring and packed lunch and hot drink but please observe the countryside code and take all your rubbish home with you. There are many amazing animals living on Oakhill Nature Reserve who leave interesting tracks. Come and join us as we stalk around looking for the best tracks we can find, and use them to identify the animals they belong to. Then use craft materials to make a cast of the tracks, which you can take home as a memento of your day. Everyone is welcome. Guidance given by artist Shealagh Cynfal-Wells. Meeting point Oakhill Nature Reserve Car Park, off Tom Pudding Way, Goole DN14 6XL.